Meet Archer! He came to the CARE office for photos and saw his first Christmas decorations and has decided that the holidays are the best thing ever. He had a field day with the tree skirt and it was too adorable for us to make it stop. Archer gets excited about every new thing he encounters (except bathtime haha). 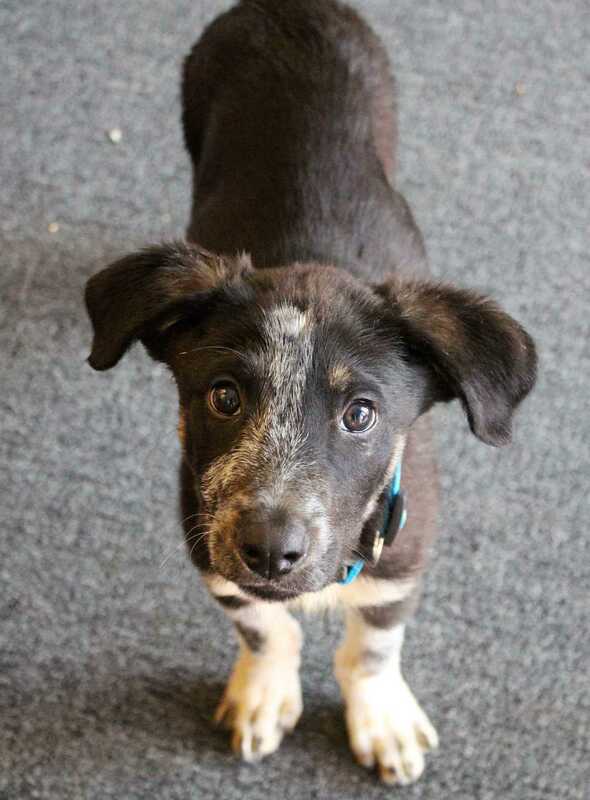 He is a 4 month old Cattle dog blend who is hoping to find a forever family to get excited about very soon! If you think you are the forever family for him please fill out an application at www.caretx.org/adopt. To find out more information on this dog please apply to adopt on our website at http://www.caretx.org/adopt and CARE will be in touch with you ASAP! This dog was rescued from a kill shelter or the streets and has been evaluated for medical and temperament to prepare for a forever home and is in a foster home in San Antonio, Texas* and is ready to fly to its final destination once adopted. The adoption fee of $750 covers spay/neuter, vaccinations, health certificate, and air transport * CARE rescue is in San Antonio, TX where we have a serious pet overpopulation situation. CARE is a non profit 501c3 rescue that has been saving lives for over 9 years and with your adoption, we can help save even more deserving urgent adoptable pets! We fly our pets to approved adopters all over the US, especially in low kill and no kill markets where there is a demand for rescue pets!